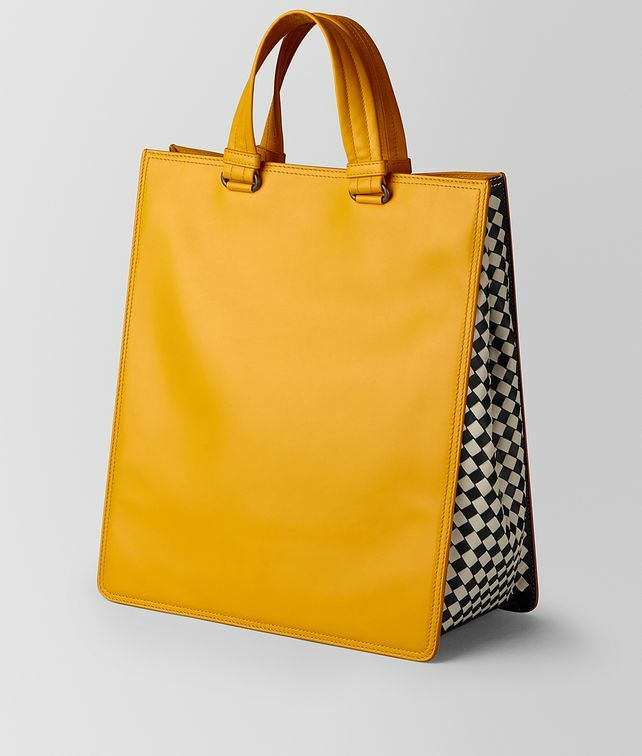 Crafted from premium French calf leather, this tote is accented with check-pattern intrecciato sides, adding an unexpected yet subtle touch of colour. Both spacious and lightweight, the bag features soft padded handles, snap-button sides and a removable internal wire—which allows you to transform the structured shape into a more slouchy and casual style. The suede-lined interior is fitted with a zip pocket and a flat pocket. Height: 38.5 cm | 15.2"
Width: 34 cm | 13.4"